This is a die-cut Hotel Lee porcelain sign. This particular Hotel Lee sign is black with white print. 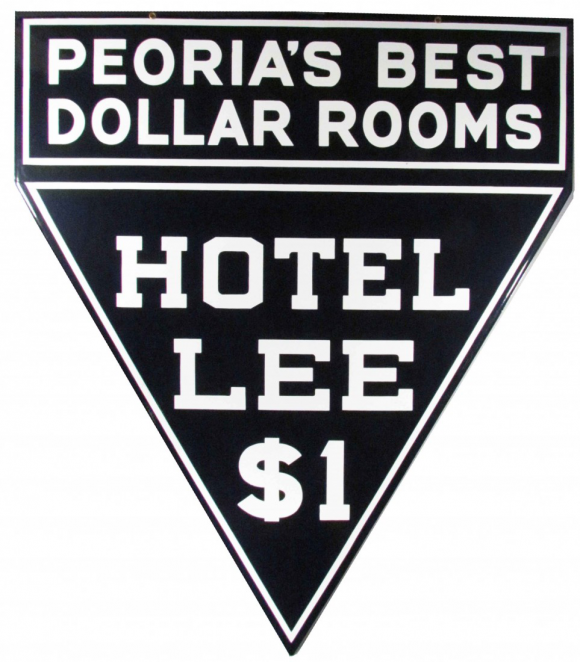 It reads, “Peoria’s Best Dollar Rooms, Hotel Lee $1” and features a thin white border.